A Nice spiral galaxy - 1st time I ever photographed it. I look forward to improving. 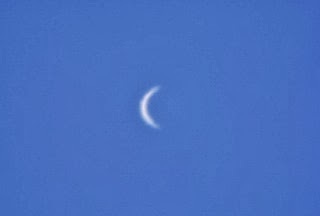 Venus in very poor seeing during daylight. On this last day of 2013 may you enjoy the coming of the New Year under clear skies and warm memories. My Top Space Story Pick for 2013 Is……. Labels: My Top Space Story fPick or 2013 Is……. Did Santa bring you a new telescope or binoculars perhaps? Not sure what to look at with it? Before you head out under the stars make sure you read the manual that came with your 'scope and familiarize yourself with all of the features in the daylight before you head out in the dark. It would be very helpful to have a red lens flashlight to use at night to preserve your night vision and be able to find things. I use a red-LED headlamp and a flashlight and could not operate without them. You also need a star atlas or sky guide book to help learn your way around the sky. If you have a computer controlled "Go To" 'scope this helps in finding your way around, but it helps to know the sky the old fashioned way too. You are in luck because there are quite a few treats in the sky right now. 1st up is Venus in the southwest sky. It is headed towards the western horizon fast and will be gone from the evening sky. Venus is in an ever widening crescent phase which can be seen in binoculars. 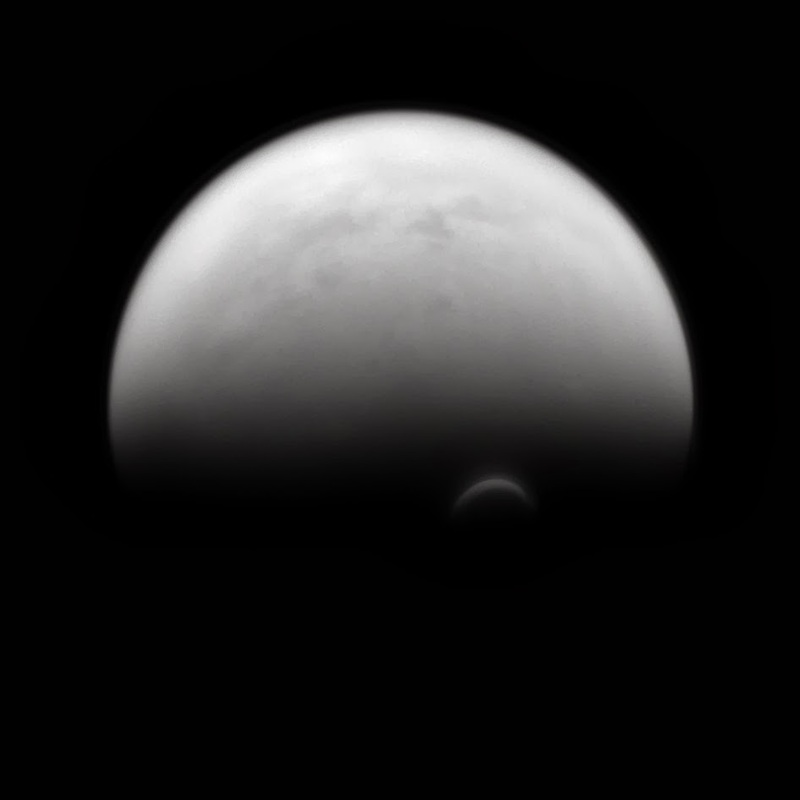 You can see the pic I took in the daytime of Venus with my 'scope in an earlier blog. In the East Jupiter is rising shortly after sunset and is visible all night. It is high in the sky which helps with the seeing - the steadiness of the atmosphere - in looking at the myriad of detail. The four main moons that Galileo discovered with his telescope are a delight to watch as they are always changing. The Moon in a real pleasure to view in binoculars and a telescope. There is always something new to be seen on the Moon each night. 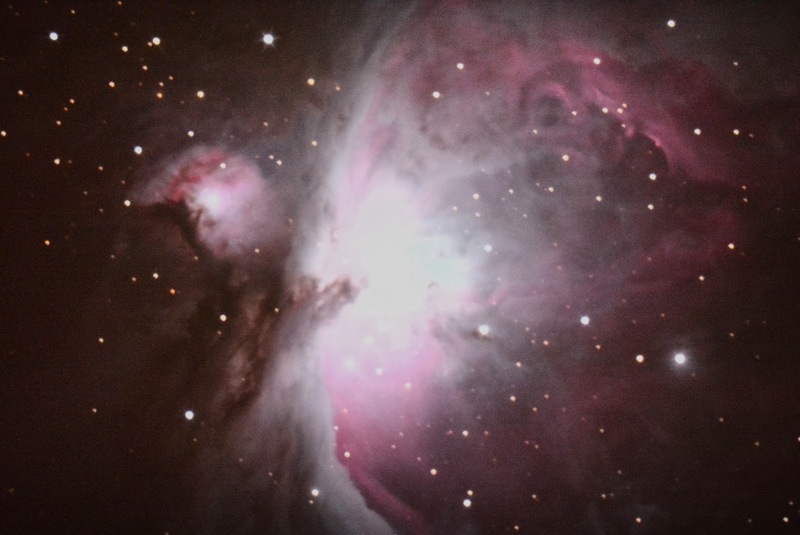 A variety of deep sky objects are easily visible in the winter sky but the Orion Nebula takes center stage. 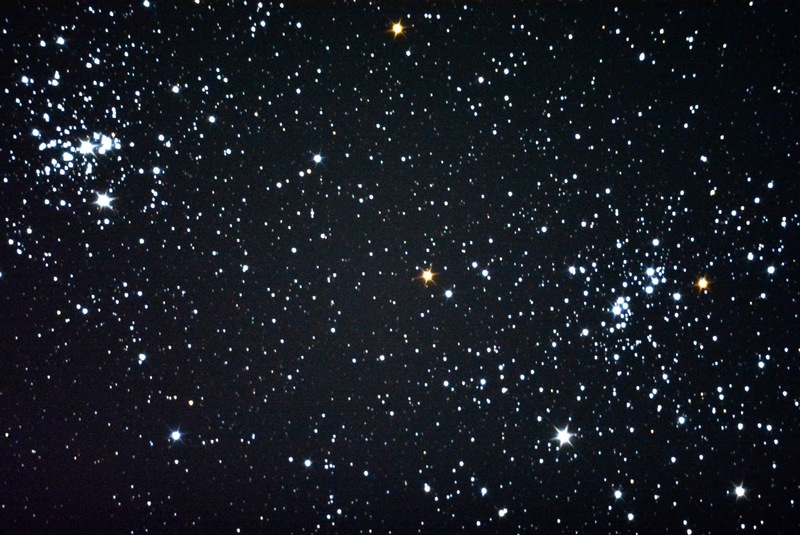 Again you can see in my earlier blog a pic I took along with the Double Cluster in Perseus and the Andromeda Galaxy. 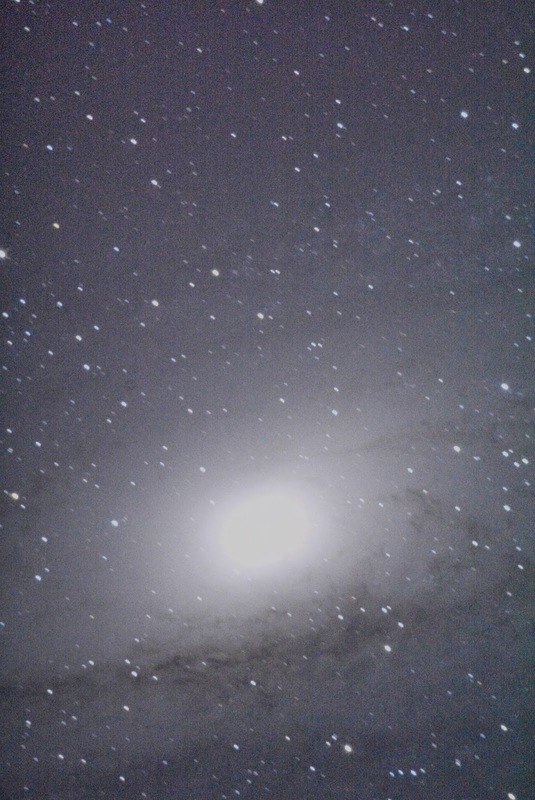 Enjoy your new 'scope and here's to clear skies! Labels: Got A New Telescope? M42 is a place where stars are being born while the Double Cluster is a thriving stellar population. 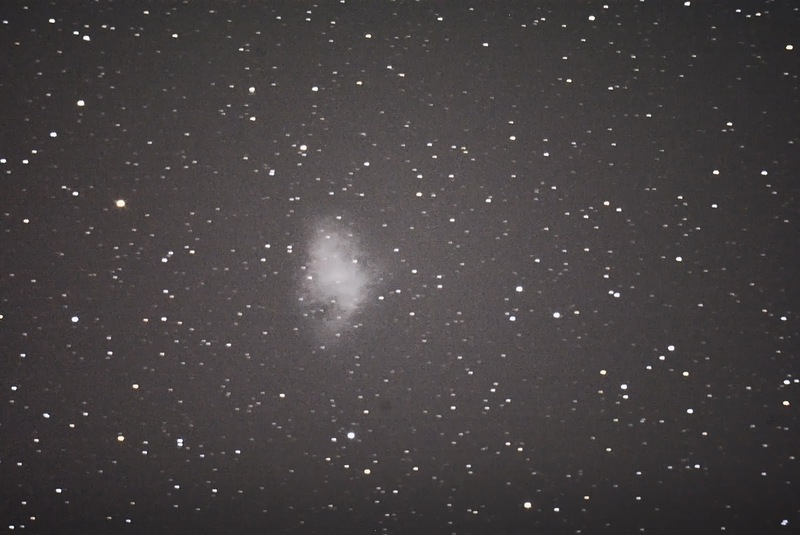 M1, the Crab Nebula is where a massive star ended its life in a huge explosion seeding heavy elements into space. Heart of the Andromeda Galaxy - 2.5 million light years away. Dust clouds, hint of spiral arms and blue giant stars surround the nucleus. I hope you had a wonderful Christmas. 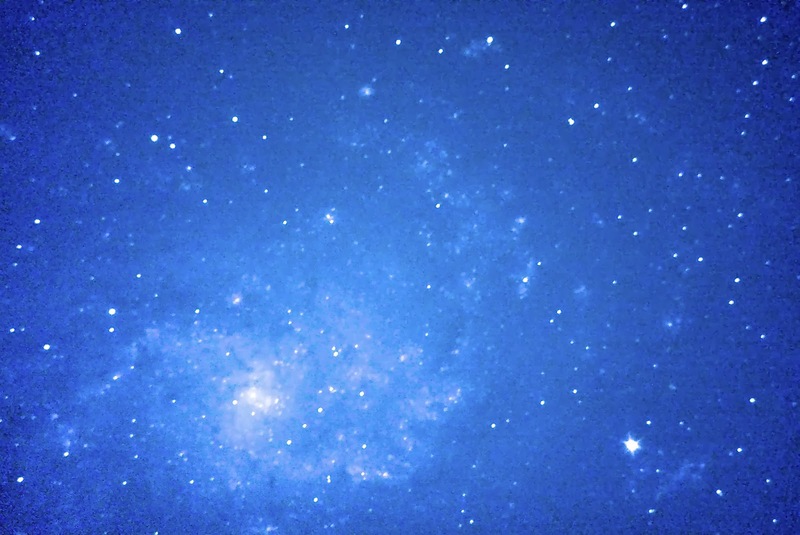 Mine was great as I spent the night (low 14 degrees) with my telescope and new 24 megapixel camera. 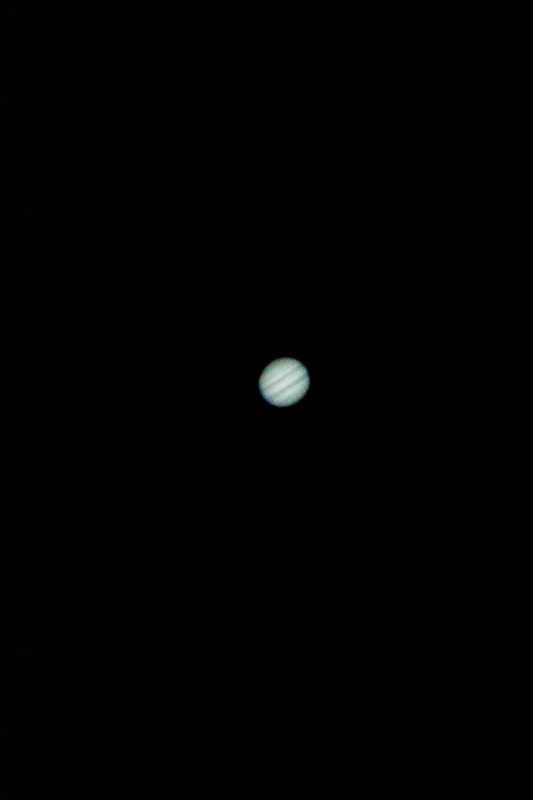 I am working on some pics I took of Jupiter and may post if they are worth a bean but right now the telescope-camera is operator dependent - read STEEP LEARNING CURVE! I did manage to get what I think is a beautiful shot of the Milky Way through Casseopia even with light pollution - it makes me wonder how great it would be from a dark sky site. But it is full of stars which makes it magic - I hope you enjoy it. Santa got me a new Nikon 5200 DSLR with 24 megapixels. I am hoping to get some pics today and share with you the results. The International Space Station has a GREAT flyover in the Eastern US tonight at 6:27. Look up ISS for your location and wave at 6 humans and a million pounds of space hardware. Merry Christmas and Happy Holidays to everyone. Thank you for taking time out of your day to share the Universe together. A great day for NASA, ISS, Mission Control Houston and Rick and Hopper. Hear my interview on WTOP . Forty five years ago NASA astronauts Frank Borman, Jim Lovell and Bill Anders were away from home for the Christmas holiday. In fact, they were away from the planet on a voyage of exploration to the Moon that I think is the modern day equivalent of the voyage to the New World embarked upon by Christopher Columbus in 1492. Both voyages sailed great and danger filled distances to unknown shores and because of their success, opened whole new realms for humanity to explore and inhabit. Apollo 8 was a daring mission for NASA as Apollo 7 had successfully proven just two months earlier that the Apollo Command and Service Modules could perform successfully for 11-days in Low Earth Orbit (LEO). Apollo 7 was quite an accomplishment as it had been over a year and a half since Apollo 1 - www.nasa.gov/mission_pages/apollo/missions/apollo1.html#.UrkjYP2z7wI astronauts Gus Grissom, Ed White and Roger Chaffee had been killed in a fire in their Apollo spacecraft during a plugs out launch pad rehearsal. The Apollo Command Module had extensive changes made to it following the fire and it essentially emerged as a whole new spacecraft which had to be tested. NASA had originally planned to send Apollo 8 into a high elliptical Earth orbit with a Lunar Excursion Module (LEM) but the LEM was not ready to fly so Apollo 9 got this mission and Apollo 8 got the first trip to the Moon. Apollo 8 would be the first manned flight with the mighty Saturn V rocket with its 7.5 million pounds of thrust and the first to launch from the new NASA Cape Kennedy launch complex. Borman and his crew had less time to train for this brand new mission but met the challenge and Apollo 8 launched on December 21, 1968 and arrived in lunar orbit early on Christmas Eve. The crew completed 10 lunar orbits and headed for home on December 25th and splashed down in the Pacific Ocean on December 27th. Apollo 8’s legacy in history was assured due to being the first manned mission to go to the Moon but it also gave humanity two iconic moments - the reading from the Bible on Christmas Eve while in lunar orbit and the picture of Earthrise over the Moon. I was observing the waxing crescent Moon with my new telescope while listening to the Apollo 8 mission on the radio - I couldn’t see the spacecraft but I felt connected because I could somewhat see what the crew was seeing. It was a beautiful night in Southern California with Venus and Saturn visible and the Moon was in the constellation Aquarius, which I now find ironic because of the hit song of the day “Age of Aquarius” which reached #1 in the spring of 1969. While listening to the mission the crew began to read from the Bible, specifically the Book of Genesis. Being Christmas Eve while looking at the Moon with my telescope and listening to the astronauts reading the verses simply overwhelmed my emotions. I felt connected to the crew of Apollo 8, the Universe, and yes, the miracle that is the Christmas story. 1968 was a tumultuous year for the U.S. The country was awash in anguish and anger over Viet Nam and civil rights. Just 5 years after JFK had been assassinated, 8 and 6 months respectively since Martin Luther King and Bobby Kennedy had been murdered, Apollo 8 gave us hope for a better future. Apollo 8 showed us what we could do that was positive and far reaching amid some of the worst times in our Nation’s history. Apollo 8 also gave us what I think is the most iconic picture in history - Earthrise over the Moon - www.nasa.gov/multimedia/imagegallery/image_feature_1249.html#.Urkhtv2z7wK. An unmanned lunar orbiter had taken a black and white photo previously of Earthrise over the Moon but the Apollo 8 picture and movie was taken by humans in orbit around another world and showed our planet in color rising above the lunar horizon. This was not planned and came about by circumstance as detailed recently by NASA’s new visualization of the event. Humanity’s efforts in space today continue to provide wonder, inspiration and hope in a very violent and turbulent world just like Apollo 8 did forty-five years ago on that very, very special Christmas Eve. May the legacy of Apollo 8 bring you a sense of peace and hope this holiday season. Merry Christmas and a happy holiday season to all. 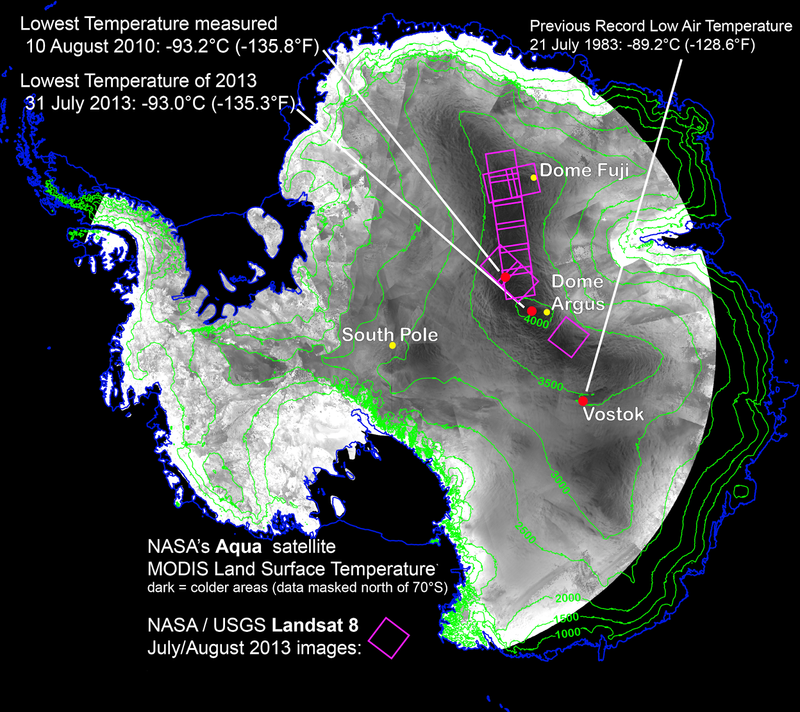 Check out what NASA accomplished in 2013. As I pointed out in my blog/WTOP article on NASA the American taxpayer (and the rest of humanity for free) get quite the bang for their buck. Tomorrow I will have a blog/article on the legacy of Apollo 8 in recognition of the mission's 45th anniversary. Hello from 70-degree and rainy Virginia. Record likely to be set again today for highest temp. Planetary defense against comets and asteroids got a welcome addition this week by the return of pictures from NASA's reactivated and renamed Near Earth Object Wide-field Infrared Survey Explorer (NEOWISE). NEOWISE started off as the Wide-field Infrared Survey Explorer (WISE) which was a hugely successful spacecraft that discovered thousands of asteroids, comets and astronomical objects during a multi-year whole sky survey in infrared. Infrared is useful in finding objects as allows the detection of heat from the object even though it may not be visible otherwise. The spacecraft has been in hibernation for 31-months and was found to be in excellent health upon reactivation in September. NEOWISE will resume asteroid and comet hunting following ground preparations in the next few months. NEOWISE will be looking for prime candidates for NASA's Asteroid Initiative Mission in addition to asteroids and comets that pass within 28 million miles of Earth. This is a very welcome addition to our planetary defense assets. 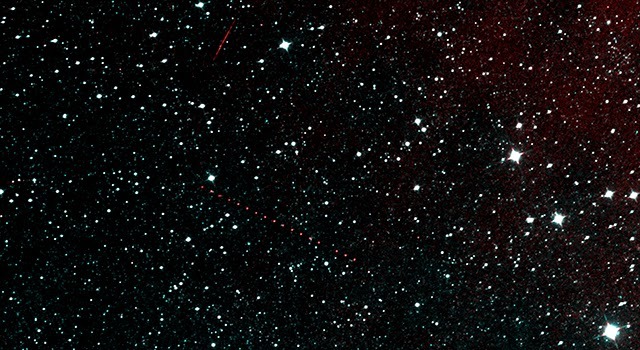 Good hunting NEOWISE! 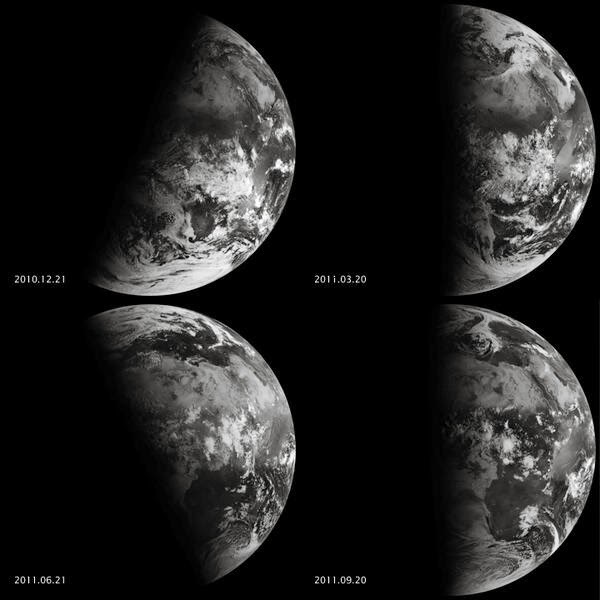 Winter began for the Northern Hemisphere at 12:11 p.m. EST and marks the shortest day of the year for us. Tomorrow the Sun begins its climb higher in the sky to summer in six months. Here in Virginia we will likely set new high temperature records today and tomorrow - downright weird folks. The International Space Station (ISS) astronauts are finishing their 1st spacewalk to repair the faulty ammonia cooling valve - see my earlier blog. The have actually removed the faulty module. Two remaining spacewalks are planned. Apollo 8 left for the Moon 45 years ago today at 7:51 a.m. EST. I will have a special blog on December 24th on Apollo 8. As the Holiday Season gets into full swing may you and yours have a safe and enjoyable time together. 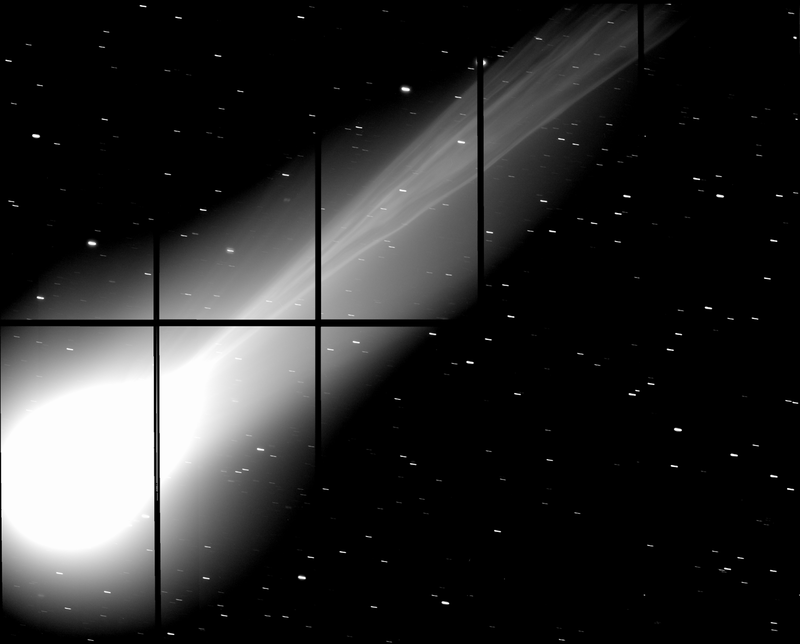 Hubble Space Telescope (HST) observed the area of space where Comet ISON would have been on December 18th and saw nothing. This just confirms what we already knew, Comet ISON is no more. There are STILL people trolling the 'net with claims of Comet ISON impacting the Earth, pieces of it spiraling through space to hit us which the government knows about but is covering up *sigh*. Comet ISON is no more - deal with it. Funny how they make no claims over Comet Lovejoy. Wow, what a pic! And the tail might get even longer after passing by the Sun. Hope for some clear weather so I can see it too. The European Space Agency's (ESA) Gaia mission lifted off successfully today, 12/19/13. 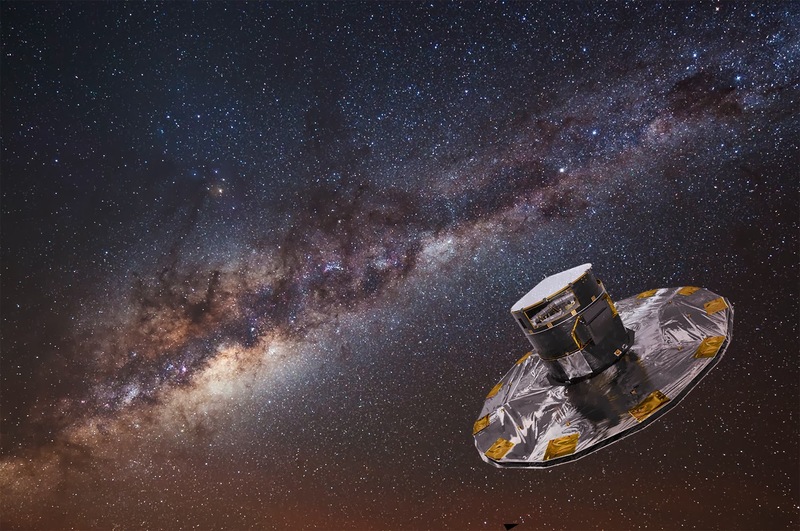 The 5 year mission is designed to observe 1 billion stars of our own Milky Way Galaxy. Gaia will observe each of these stars an average of 70 times and determine their positions, distances, temperatures and chemical composition. With all of this information Gaia will produce over a Petabyte - 1 million Gigabytes or 200,000 DVD's - of data that will need to be analyzed. When this analysis is done, it will give us a very detailed map of of our home in the Cosmos, our Milky Way Galaxy. Gaia will also discover thousands of supernovas - massive stars that explode when they die - and asteroids. This is a very interesting mission indeed. I look forward to seeing the results. Check out the almost Full Moon and Jupiter close together in the East at 7p.m. local time tonight, 12-18-13. Very pretty sight with the stars of almost winter rising as well. Enjoy the moonlight on the snow if you have any. NASA has announced that astronauts aboard the International Space Station (ISS) will be conducting spacewalks to repair the faulty ammonia coolant line valve located within a pump module unit. This fault in the cooling system has required the shutdown of electrical components to reduce the heat load on ISS. NASA had studied its options in dealing with the problem and finally settled on the replacement via spacewalk option on December 17th. This is the same unit that had to replaced during three spacewalks in 2010. A spare unit is stowed outside of ISS. There will be a teleconference on the spacewalks today -12/18- at 3 p.m. EST. The spacewalks are scheduled for December 21, 23 and 25. This would be the first spacewalk done on Christmas since Skylab 4 astronauts conducted one in 1973. The spacewalks will start each day at 7:10 a.m and last for 6 1/2 hours. Live NASA TV coverage will begin at 6:15 a.m EST to cover the spacewalks. This will be the first spacewalk since the serious mishap that occurred earlier this year when ISS astronaut Luca Parmitano literally almost drown in his spacesuit because of a water leak. The investigation into that mishap is still ongoing and a different spacesuit will be used. NASA also announced that the Orbital Sciences Corporation Cygnus resupply mission to ISS that was to launch on December 19th from Wallops Island Launch Facility has been positioned to mid-January at the earliest. Got a stargazer, including possibly yourself, on your holiday shopping list and can’t figure out what to get them? You’ve come to the right place, the “What’s Up? The Space Place” holiday edition to get some great gift ideas for that stargazer of yours. I hope this has helped you on your out of this world holiday shopping. Drop me a Tweet if you have any questions. The Moon has become a popular topic with China's lunar landing - see my related blogs. Long time readers know that I am a "Lunatic" as to all things about the Moon. I can hardly wait for the data to flow in from Chang'e 3/Jutu and NASA's LADEE. NASA's Lunar Reconnaissance Orbiter (LRO) continues to provide images and data on a daily basis. LRO posted today (12/16) pics of a new impact crater that had been detected by NASA's Lunar Impact Program (LIP) on March 17, 2013. LIP has detected over 300 impacts to date and is providing valuable information on meteoroid impacts. 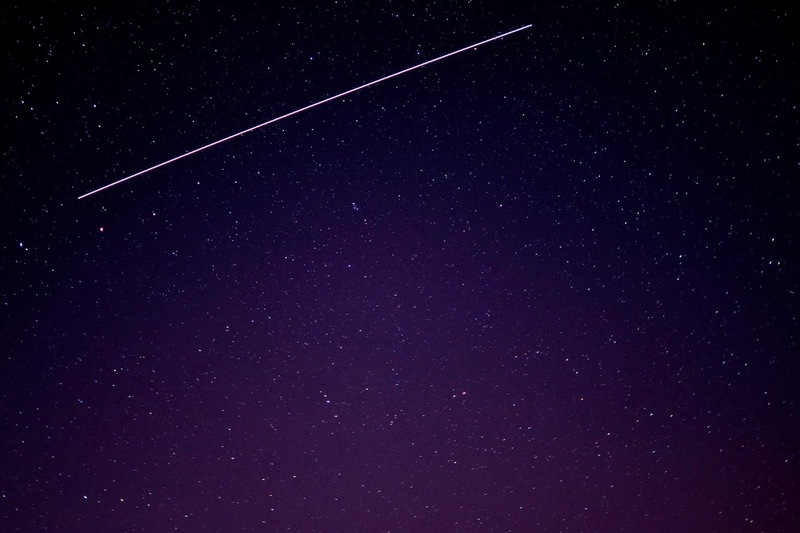 Amateur astronomers are helping in this program by monitoring the Moon during major meteor showers using video cameras to capture any bright flashes that may indicate a new impact. 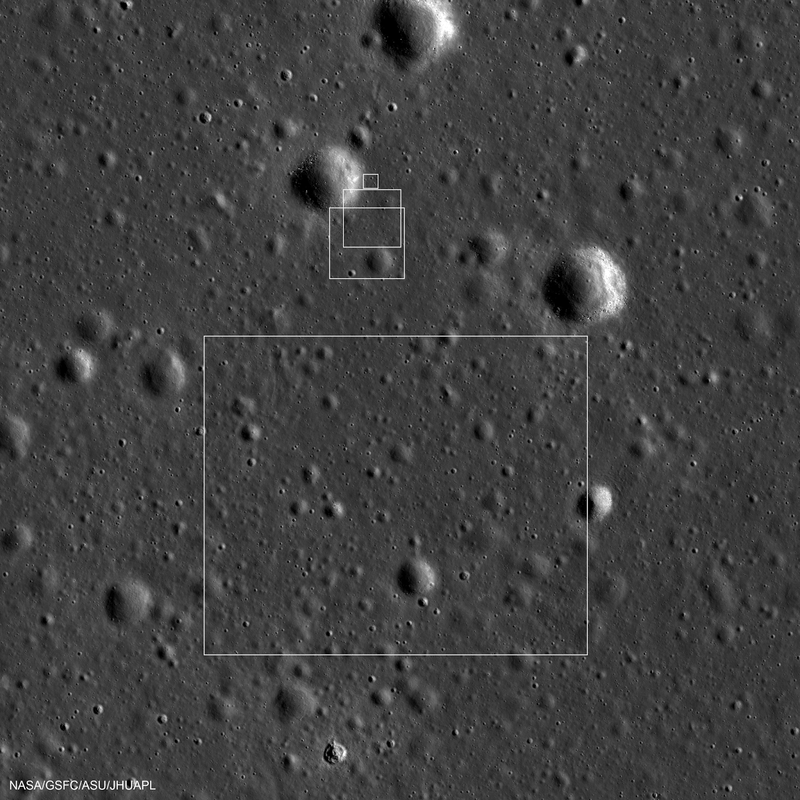 LRO has discovered changes in the lunar surface and will fly over Chang'e 3/Jutu's landing site to record changes in the lunar surface due to the landing and rover movement. The Moon is getting attention again and I think the Chinese lunar efforts will only increase with follow on landings. China's space/moon program at its roots is being conducted for the very same reason the U.S. and former U.S.S.R did theirs - national prestige. The Chinese government has joined the very exclusive lunar landing club - only the third nation to do so and the first in the last 37-years. New technology, jobs employing a scientifically and technically oriented workforce, national inspiration and pride, global recognition - all are a result of China's space program. I was very glad to see that China carried out Chang'e 3/Jutu in a live feed media environment. Their previous Chang'e missions were difficult to follow as there was not a robust media effort supporting them as there is with Chang'e 3. Hopefully China will share the science results of Jutu with the world. One Chinese official interviewed by Chinese media claimed that to be a global power you have to add to global science. Jutu's color photographs and science results from a previously unexplored lunar surface region would certainly do that. I look forward to seeing the photos and science results from Jutu. The dust kicked up by the Chang'e 3 lander and the resulting changes in the lunar surface should be detected by NASA's Lunar Atmosphere and Dust Environment Explorer (LADEE) and Lunar Reconnaissance Orbiter (LRO) missions - that too will be science results. Far more difficult to solve than the technological challenges in getting to the Moon are the global political ones. There was reportedly no cooperation between the U.S. and China during this endeavor. The news is rife with tensions between the two nations with no respite in sight. Further escalation of these tensions, rather than their subsiding, is expected. So goes the way of our world. 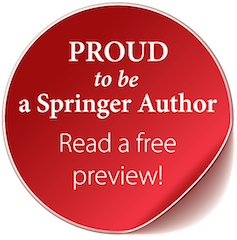 While the six astronauts from 3 nations aboard the International Space Station see a world with no boundaries humanity remains locked in economic and political realities that ultimately cannot succeed for the good of all of humanity. Our planet has a finite limit on the amount of life it can successfully support and the amount of natural resources available. It cannot be looked upon as an oasis with unlimited growth potential - I think we are already seeing signs of planetary distress in climate change, fresh water availability and global food supply. Human and robotic expansion into space with the goal of colonizing the Moon and Mars and obtaining water and mineral resources from asteroids and comets is necessary for humanity's long term survival. Jutu's successful landing and China's upcoming efforts to land Taikonauts on the Moon will become part of humanity's space legacy. Only time will tell how we do as a species. UPDATE: Live coverage has ended. 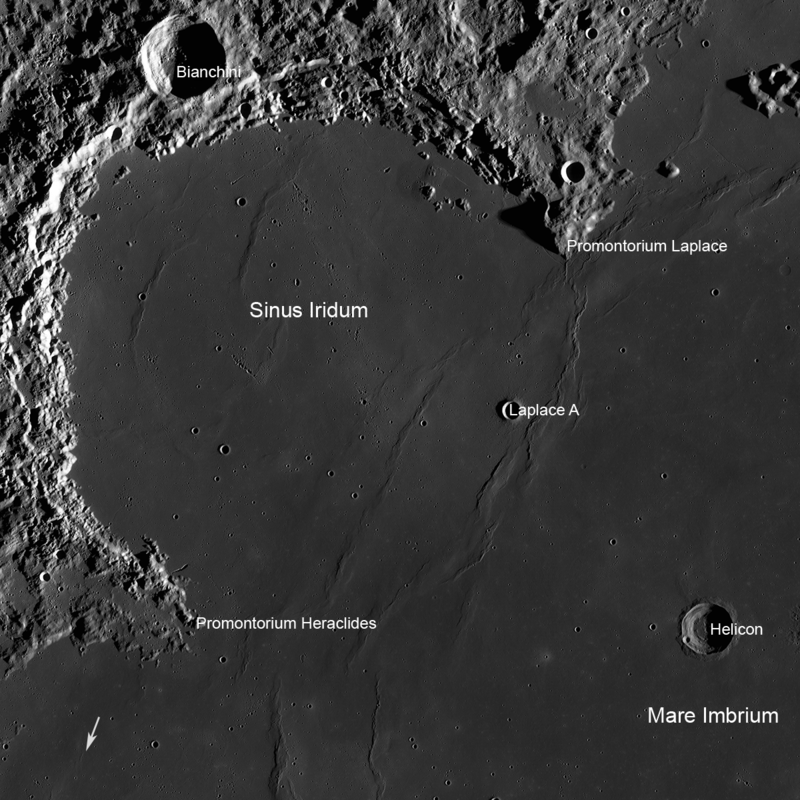 See pictures of lunar surface and the landing here . 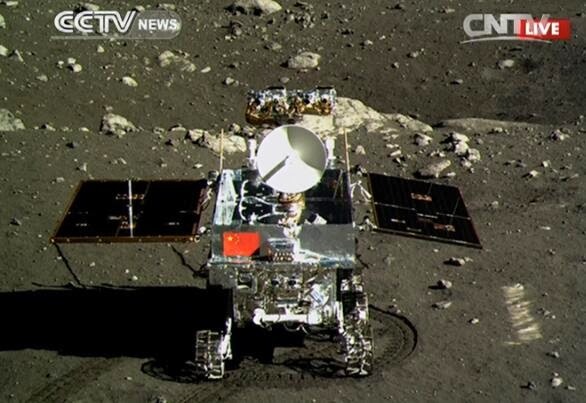 China's rover Jutu is on the Moon in Sinus Iridum according to Twitterverse and Chinese media. Live feed and updates here. I am impressed and glad that China has chosen to share in the excitement of the first landing on the Moon in 37 years - Russia was the last to do so in their Luna series. The rover is set to depart from the lander tomorrow. Congratulations to China. All success to Jutu. Hubble Space Telescope (HST) made observations of the Jupiter moon Europa in December 2012 and review of the data was amazing. HST found the signature of water vapor coming from the south polar region of the large moon. It has been suspected that Europa harbors a liquid water, perhaps even salt water ocean under its thick icy crust. These observations by HST would go a long way in adding credence to the existence of such an ocean but researchers are not ready to do so. More observations will be made and the archives of the Galileo mission will be reviewed for potential observations as well. Read the latest on China's rover due to land tomorrow at 10 a.m. I'll be watching and blogging on this as it happens. 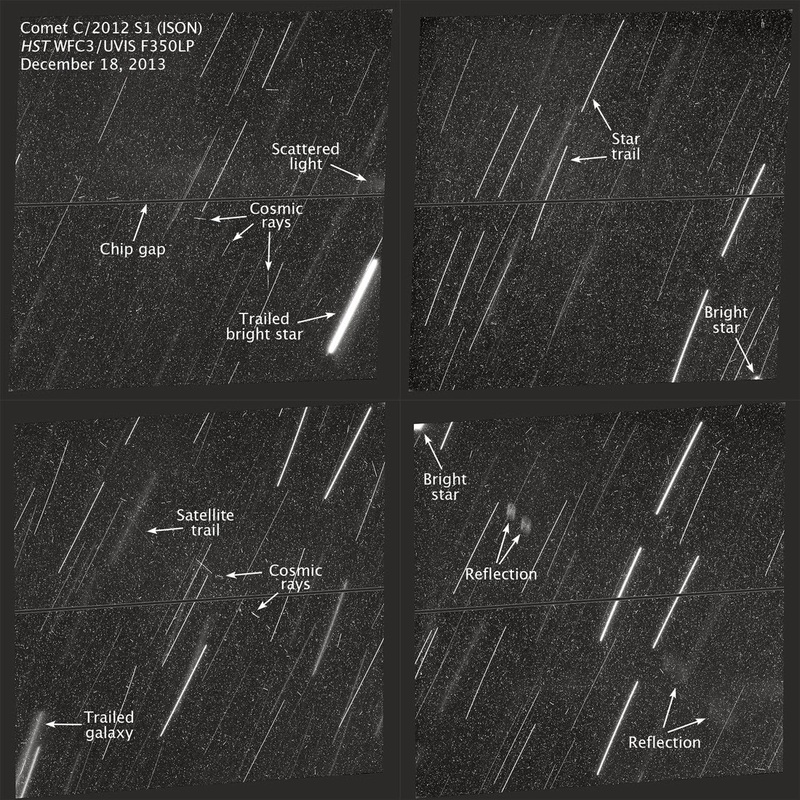 UPDATE: Check out this "cool" NASA video about seeing the Geminids at 4 a.m. on the 14th. Also the Geminids have been active with almost two dozen fireballs reported last night by NASA's Fireball Network. Remember to join the chat tonight starting at 11 p.m. EST and listen in on radar if your are clouded out - details are below. Tonight starts the Gemind Meteor Shower. The peak will be the night of the 13th-14th but there may be some activity tonight. Yeah, I know it is cold. But if the sky stays clear on Friday night into Saturday morning, we will enjoy the peak time for what I think is the best meteor shower of the year, the Geminids. I say best because it reliably produces a large number of meteors per hour (100-120) and many of them are bright. Plus the Geminids is the only major meteor shower where you can see a good number of meteors during the early evening hours instead of the hours just before dawn. The predicted peak of the 2013 Geminid Meteor Shower is the night of December 13-14 but you can see Geminids from the 12th to the 16th. Each year at this time our planet encounters a debris stream of rock particles made by Asteroid 3200 Phaethon. The Geminids is the only meteor shower caused by an asteroid or what astronomers call a rock comet - all others are due to cometary debris. You do not need any equipment or know how to enjoy the show - just find a place where you can put a lounge chair or blanket to see the sky. Starting at 9 p.m. look in the east for the constellation Gemini for which this meteor shower is named. Brilliant Jupiter is in the constellation making it really easy to find and both will rise higher as the night progresses. A meteor that is part of the shower can be traced back to Gemini. Sporadic meteors that are not part of the shower can be seen during the night as well. The shower will continue all night and be best an hour before dawn - about 4 a.m. - when the almost Full Moon has set. The Moon will obscure the dimmer meteors but there should be a bright shooting star every couple of minutes from a dark sky site. The key to watching the shower is being comfortable, in other words WARM. 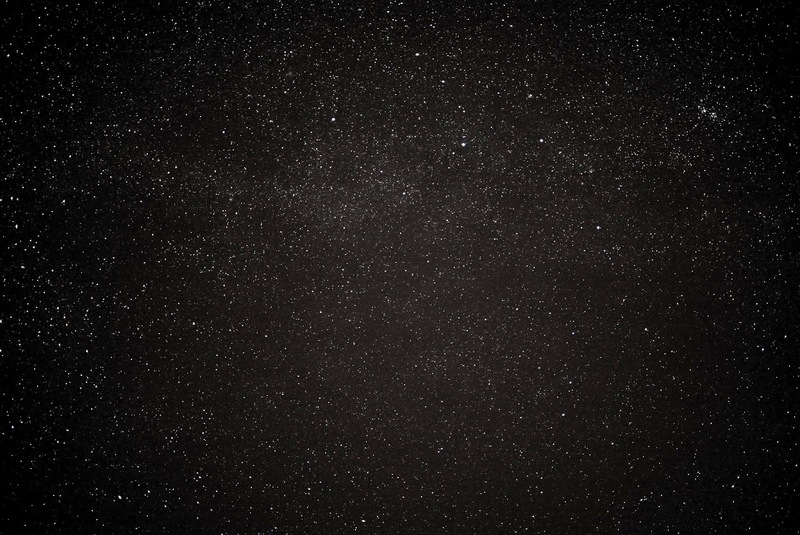 The Geminids can appear anywhere in the sky but looking straight up gives you the widest viewing area - this is where the lounge chair or blanket come in handy. Enjoy the shower with family, friends or your significant other. Some music, food and beverages are an added plus. You can also tune in to a NASA live chat on the Geminids starting at 11 p.m. to 3 a.m. EST. NASA's Lunar Atmosphere and Dust Environment Explorer (LADEE) is in orbit around the Moon. LADEE has commenced making its first science observations and has begun to detect lunar dust impacts and identify components in the Moon's exosphere. This is very exciting and will only get better as more observations are made in the upcoming months. LADEE gets as close as 12-miles above the Moon in its orbit which is really close. I expect that more dust impacts will be observed, perhaps even during tomorrow's start of the peak of the Geminid Meteor Shower - I'll have my blog on the shower tomorrow. Look up at the Moon tonight and wave at LADEE. Here's another video from NASA on the now officially declared dead comet. The only reporting left on Comet ISON will be if Hubble Space Telescope (HST) finds any remnant of the comet during planned observations in the near future. I love it when a spacecraft flies by Earth and uses its instruments to photograph and study our planet and Moon. NASA's latest spacecraft to Jupiter, JUNO, did that earlier this year on a flyby to pick up a gravity boost. The result was successful for the spacecraft and for us as you can see in this wonderful video made from images taken during the flyby. What makes this video unique is that it shows the Earth and Moon in motion. In fact you can see the Moon pass in front of Earth in the video, which may be a first. Pretty wild to see that when I have seen the moons of Jupiter pass in from of the gas giant planet. Enjoy the original musical score too while watching. Get read for the Geminid Meteor Shower which will peak this Friday-Saturday night - more on that to come. Well, I felt really BAD about leaving DAWN out of my article - I just couldn't include every mission NASA has going on as it would have made the article too long. So, DAWN, this Blog is for you. Just so you know I have written nine previous blogs on your mission. And I have followed your mission closely because of my interest in meteorites (I own 208 in my collection including HED's from Vesta), asteroids and your UCLA (my alma mater)/JPL team. When you arrive at Ceres in 2015 I will be covering you in detail with the media here in DC as well as on my blog. As I said in my Tweet to you yesterday, I GUARANTEE IT. So help me out Space Placers. Visit DAWN's web page where you can get involved in asteroid mapping, see the latest DAWN news and even hang out on Google with the DAWN team. There. I feel better and I hope DAWN does too. This seems like a PERFECT topic after the ice/snow we have had the past several days here in DC,VA, MD. And with the overnight temps predicted to go into the teens, I thought I would make all of us feel warmer by sharing NASA's announcement regarding the "Coldest Place On Earth". No surprise that an area of the Antarctic takes the prize, but the lowest temperature ever recorded is, well, COLD -136 degrees Fahrenheit - BRRRRRRR. And we aren't talking wind chill either. You can read more about it here as you enjoy your snow day and prepare for our own cold snap here in our area. NASA's Curiosity rover has been busy on Mars. Latest from American Geophysical Union (AGU) Conference being held this week in San Francisco. The radiation findings are significant in that it gives NASA its first solid data on predicted astronaut exposure on a Mars mission. Americans are aware of NASA but I do not think they realize how much NASA does http://www.nasa.gov/about/highlights/what_does_nasa_do.html#.UqS_4qWz7wI and for how little money wise. Do you know what NASA’s budget is for 2014? Thanks to our deadlocked and dysfunctional Congress there is no approved budget for the Government. NASA is looking at roughly $17.7 billion requested For FY2014 http://www.nasa.gov/pdf/750614main_NASA_FY_2014_Budget_Estimates-508.pdf. That breakdowns to roughly 15 cents a day per American and less than 1 cent a day per human on the planet. I include this last figure as much of what NASA does benefits all of humanity, not just Americans. Orion Multi-Purpose Crew Vehicle and Space Launch System (SLS) that will return the U.S. to manned spaceflight capability that can go to low Earth orbit, the Moon, Mars and the asteroids. NASA provides 24 hour a day monitoring of our star, the Sun using Solar TErrestrial RElations Observatory (STEREO) A and B (B sees the farside of the Sun), Solar Dynamics Observatory (SDO) and Solar Heliospheric Observatory (SOHO). These spacecraft provide realtime data on the Sun to help determine space weather and its effects on spacecraft and Earth, providing advance warning for solar storms. Whatever defense is mounted against a future comet or asteroid that has our name on it we will need NASA to carry it out. As I am fond of saying, “the dinosaurs are dead because they didn’t have a space program”. Add into this already impressive mix new technology, astronomy, aeronautics, astronautics, commercial space development, education, public outreach, jobs, inspiration and hope. It adds up to a lot of bang for the buck. Thank you NASA for all that you do for the planet, humanity, and America. Our future and survival lies in space and NASA will get us there IF given the necessary resources. Here is a good wrap up - less the science learned that will follow in papers and upcoming observations -- if any -- by amateurs and HST. Be safe if you are in Virginia as the ice storm settles in tomorrow. Touchdown is set for around the 14th. Hopefully China will elect to be open with their mission and its results. Although Comet ISON was getting all of the attention - I will have another Comet ISON post tomorrow - Comet Lovejoy has been putting on a fine show in the pre-dawn sky. Get out at sunset on the 5th to see the brilliant planet Venus and the crescent Moon in the western sky. Venus is at its greatest brilliance and height in the sky for the season and if you have a dark sky site you can see shadows cast by Venus on freshly fallen snow. I was able to see shadows cast by Venus on the ship in the dark Atlantic. The crescent Moon will be a treat as it will have earthshine present - the illumination of the dark side of the Moon caused by the reflection of sunlight off of our planet's oceans and clouds. Binoculars and a telescope can enhance the view of the earthshine greatly - even to the point where lunar features are easily visible. Try your hand at taking a picture of these two in the sky. Mount your digital camera on a tripod or steady surface and try taking a 1 second exposure at ISO 200. Adjust accordingly to get that perfect shot. Enjoy this pretty sky sight as we head into the holiday season. It's important to support Cassini as NASA has had to put forth discussions of cutting Cassini for budgetary reasons… insane to shut down a perfectly performing spacecraft that cost $$ to get to Saturn. But the unrealistic budgetary squeeze the inept and dysfunctional Congress has put NASA in is causing this to happen. Missing your almost daily feed of Comet ISON from me? I'll have more posts as information filters in, especially the Hubble Space Telescope observations planned for later in the month - IF there is anything left to observe. It is quite an accomplishment for both of these nations to have such missions and let us hope for their success as they will add to our knowledge of the Red Planet and the Moon. Of course I can hardly wait to see the pictures and science returned from the Moon. Hopefully China will share its data with the world as previous missions to the Moon were difficult to find updates and information on them. As it stands now Comet ISON will NOT be a sight for all to see in the morning sky. The latest updates show that the comet is fading and in essentially nothing but a dust debris cloud. What a marvelous run this has been for all of us. I can only hope that a comet will be in our future for the northern hemisphere that will be an sight to see. If there is any significant change or development I will pass it along. Thanks to all of the astronomers and observers who kept us informed during the Thanksgiving Holiday. China's lunar rover has been successfully launched and is on its way to the Moon. Solar panels and the rover's legs have successfully deployed. Chang'e3 is expected to reach the Moon on December 6 and land in Sinus Iridum on the 14th.